On the island of Batan, a part of the municipality of Rapu rapu in the province of Albay, is an underground cave with a secret. We arrived at the Pototan caves by boat and climbed up a flight of steps carved onto the side of the cliff. The cave entrance itself didn't impress but it was what we found within its belly that got us wondering about its past. It was pitch black when I took a time exposure of the cavern's interior. 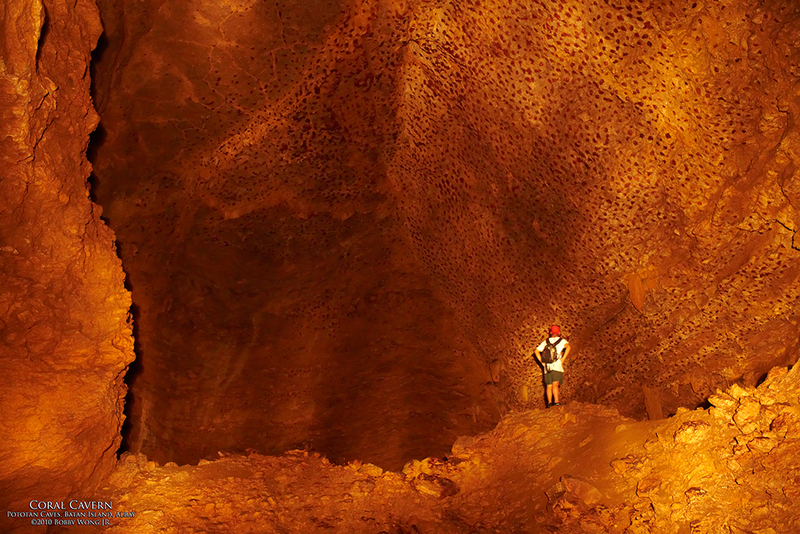 Those reddish marks on the cave roof, they're actually ancient coral skeleton. This means this cave was once filled with seawater that supported living corals. But when? Beats me. But it must have been at a time when sea levels were much higher than it is today, or when the island itself was once somewhere under the sea. Maybe you can help this postcard find us a resident marine archeologist or an unemployed coral taxonomist. But for now I'll assume we've stumbled upon a secret from another time. Enjoy. Where in the world is Batan Island, Rapu-rapu, Albay? We all have our comfort zones, fortresses beyond which we rarely stray. Could we be missing something? We were on Badian Island off the western coast of Cebu, in a small cottage that looks out over the Badian Channel. The waterway itself is narrow and so shallow that you can literally walk across at low tide. 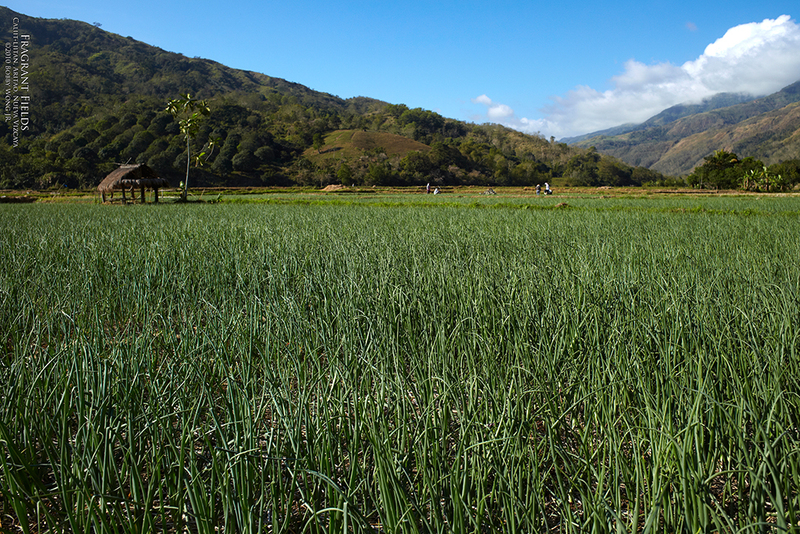 In the distance is the Mantalongan, an imposing mountain range rising to nearly a thousand feet above sea level. The sun rose from behind those mountain tops today, an experience that will be hard to forget, followed by a simmering mist that hovered over the water's surface all morning. The view is as beautiful as it is calming. 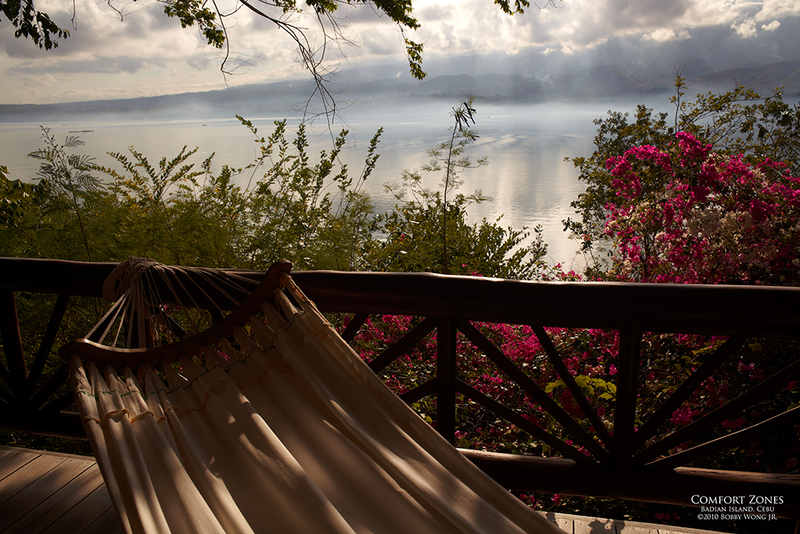 We're tempted to stay in the cool cozy indoors, sit back, and just enjoy the grand view. But the world looks very different up-close. To see the world, we need to step out of our comfort zones, into the new, into the unknown, and into destiny. Who knows what tomorrow brings? After all, we're much like what they said about ships in a harbor: they're safe there, but that's not what ships are made for. Enjoy. Where in the world is Badian Island in Cebu? 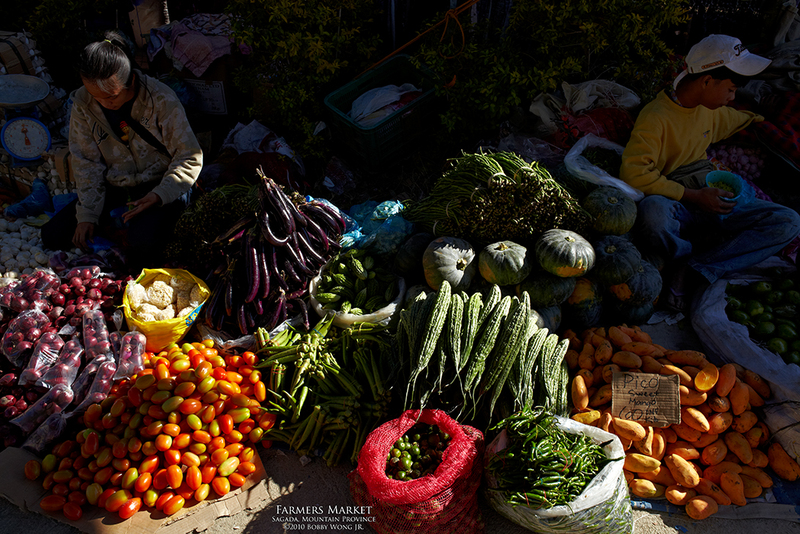 You have to look hard to find a Farmers Market in a big city, but here in Sagada in the Mountain Province, it's everywhere. I like poking around them, if only to see what's for sale, because that tells me a lot about the place and the people who live there. (Like what? Like what grows in the hills around them, like what they eat and what their cost of living looks like, etc.) I only saw two stalls selling red meat so I'm guessing the local diet is quite healthy. In the photograph, I counted 12 different types of fruits and vegetables, in a state far fresher than what you and I can find at our local produce market... ah... what we give up for our urban lifestyles... Enjoy. What if you lived within a stone's throw of paradise? We were in Coron in Palawan paddling our kayaks inside the Twin Lagoons, mesmerized by the clear skies above, the glass-like water below, and the limestone cliffs that define our country's last wild frontier. You can travel the world in search of paradise, but you don't have to look very far to find it right here at home. Our coasts are truly among the best there is, where one day the world will beat a busy path to our door. With air travel so affordable nowadays, paradise is barely an hour away from the city, a literal stone's throw for a world traveller. What are you waiting for? Enjoy. 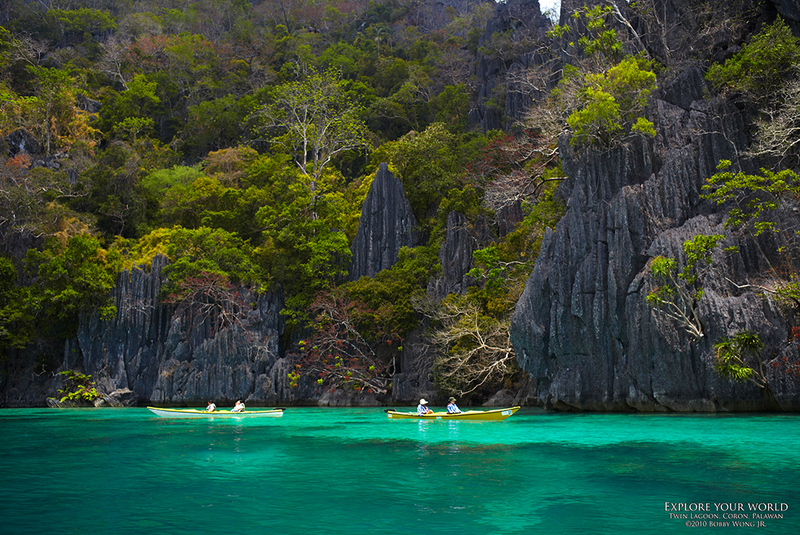 Where in the world is Coron, Palawan?